Introduction of the Medical Insurance in Republic of Armenia is directed for the increase of the medical care quality and its accessibility. Taking in consideration the demands of Public Health Care of Armenia, and also the development, expansion and achievements of medical insurance, Erebouni Medical Center is in close cooperation with acting in Armenia local Insurance Companies: “Nairi Insurance”, “Ingo Armenia”, “Reso”, “Rossgostrakh Armenia”, “Garant Insurance”, “Sil Insurance”, “Armenia Insurance” as well as International Insurance Companies AP Companies Global Solution, International SOS Dubai Assistance Centre, Cigna – Provider Claims, Europe Assistance CIS, Henner/GMC – MIP Paris, Bupa Global Assistance, Allianz Worldwide Care, AXA Assistance, Vanbreda International BVBA, Savitar Group LTD is organized and acts the Service of Medical Insurance. in Erebouni MC, in the frames of medical insurance, thousands of citizens of Armenia have opportunity to get consultation, undergo the out-patient examination with subsequent out-patient / in-patient treatment. The joint systematized work of the staff of Insurance Service of MC Erebouni and the employees of insurance companies allows to organize examination of the patients in minutes and start the treatment. Thanks to the wide network of local and foreign partners and collaborators in the area of medical insurance, thousands of patients apply to Erebouni MC to get diagnostic examination, in-patient and out-patient treatment (including surgical). 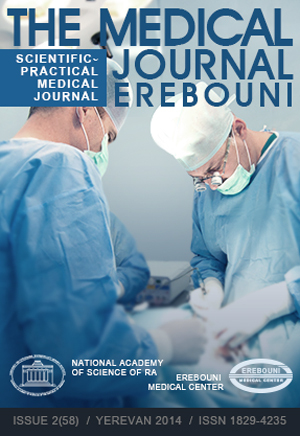 In the frames of medical insurance in Erebouni MC are carried out: angiography, endovascular interventions on the brain's vessels, stenting of coronary vessels, implantation of pacemaker, cardiosurgical, neurosurgical, urological, orthopedic and other profiles of surgical intervention with use of contemporary medical technologies. In case of the planned visit, the patient must contact with insurance company in advance, to make an application and then go to the clinic. At the urgent cases the patient directly applies to the medical center. Patient has full right to choose the medical center at his discretion, where he wishes to get the examination and treatment. Medical center collaborates with insurance companies 24 hours a day.